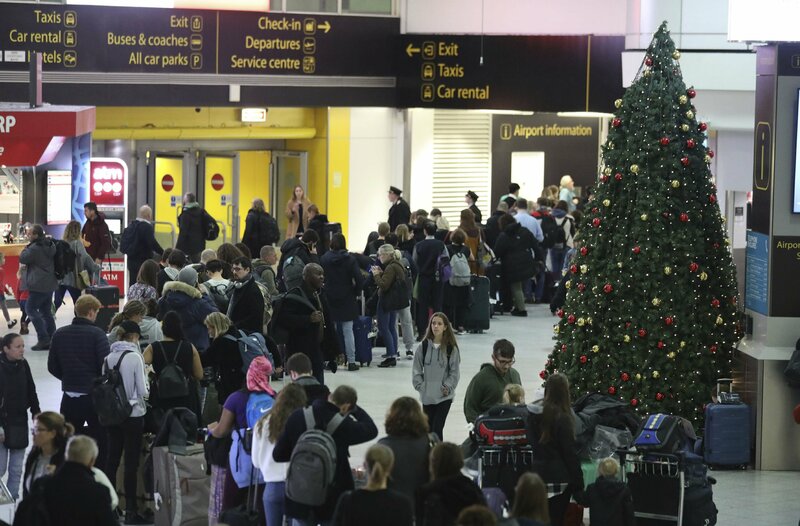 New drone sightings Friday had caused fresh problems for holiday travelers at the airport, which reopened in the morning after a 36-hour shutdown only to hastily suspend flights for more than an hour in the late afternoon on one of the busiest travel days of the year. Officials said extra military capabilities allowed flights to resume after the halt. The persistent drone crisis at Gatwick, located 30 miles (45 kilometers) south of London and which serves 43 million passengers a year, has had ripple effects throughout the international air travel system.